Food and beverage startup and early stage entrepreneurs compete in judging event at Ivy Tech to win great prizes. INDIANAPOLIS, IN --(Marketwired - April 04, 2016) - Talented cooks with an inspired food or beverage business concept or early-stage business are invited to enter this year's Hottest Kitchen Entrepreneur Challenge, a regional contest to find Indiana's next great food entrepreneur. The Challenge is sponsored by Ivy Tech Corporate College & Culinary Center and by Reliable Water Services, a statewide provider of commercial water heaters, boilers and water softeners. This year's contest features a start-up category for those with a new food business idea and an early-stage category food entrepreneurs who have launched but are looking for help to get to the next level. Beginning April 1, aspiring chefs, home cooks and early stage food entrepreneurs throughout Indiana can enter online at http://reliablewater247.com/hottest-kitchen by submitting a short application and uploading a photo of their recipe or product concept. The site has contest rules and details. 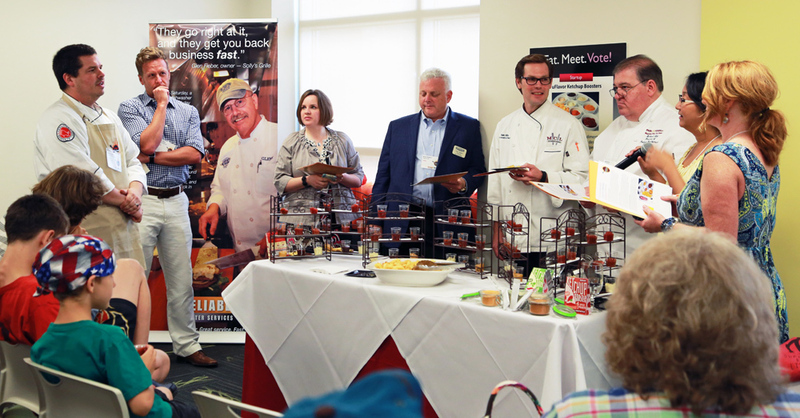 Finalists will be selected in late May to participate in a final judging event at Ivy Tech Corporate College and Culinary Center, 2820 North Meridian St., on Wed., June 22. "We are so proud to have helped launch a number of innovative food and beverage products over the past five years and can't wait to see what new ideas this year will bring," said Lynne Robinson, President of Reliable Water Services.